As anyone who knows me can probably tell you, I’m very interested in the history of the hobby. I wasn’t even alive for a lot of it, but it’s always fascinated me. 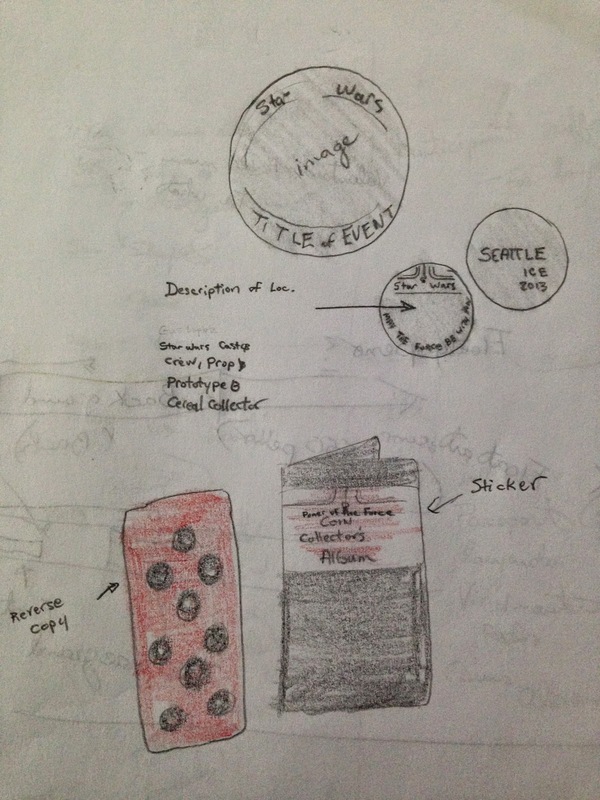 Years back, I did a timeline which gave a rundown of where and how collectors in each era stayed in contact with one another and completed deals. One of the other editors here thought it would be a good idea to do a blog post about the growing popularity of collecting Facebook groups, and I thought I’d add it to the end of my timeline. Technically speaking, this should have been posted weeks ago, before the entire community started discussing Facebook groups, but due to technical problems which I won't bore you with, it's was delayed until now. In any event, without further ado, I give you an updated brief history of online Star Wars collecting discussion. Over the years, this community has gone through a variety of forms that current collectors might not be aware of and I always think it’s helpful if collectors know where we’ve come from. The earliest threads I can find all take place on what was called Usenet. Usenet could be considered something in-between email and a discussion forum. Users posted topics to various newsgroups on Usenet, and then other users would receive those posts and be able to reply to it through a news server. In the early days of the internet, it was the easiest and most convenient way to communicate with other users. At that time, most of the people online were at universities and military installations. In any event, the earliest Star Wars discussions I can find are on net.sf-lovers. Posts there go as far back as January 1982, which is pretty amazing when you think about it. The most notable thread in the group is this one entitled: "Is Vader Luke's Father? ", which is always fun to read through. This is one of the oldest SW related threads I can find, so it’s pretty historic in that respect. One of the oldest collecting references I know of can be found in fa.sf-lovers, in this thread from December of that year. That appears to have led to net.movies.sw in May of 1983, although SW threads continued to appear in net.sf-lovers as well. Here's the first post that I can find in net.movies.sw. It was apparently short lived, as the last posts are in July 1985 when it was removed as a Newsgroup. Here is it being considered for deletion. Part of the explanation for its deletion reads "There seems little reason to support this group until a new Star Wars epic comes out (years), and we can recreate the group at that time, should the net last so long." The net lasted, but Usenet did not. There is a gap here, but my best guess is that the majority of threads were posted to both rec.arts.sf-lovers (which dates back to Nov 1986), and to net.sf-lovers which had previously been used by SW fans before the net.movies.sw newsgroup anyway. It should also be noted that a lot of collectors during this time period were communicating and doing deals through the TKRP catalogs, which were periodicals filled with both for sale and want ads. All communication through these magazines was done using the regular mail though, the slowness of which would undoubtedly infuriate modern collectors used to instantaneous contact. In October 1991, rec.arts.sf-lovers split into the rec.arts.sf.movies after this CFV. Here's the First SW related thread that I can find there. The time soon came though that SW outgrew rec.arts.sf.movies, and there was a call for votes in April 1992. Out of this split came rec.arts.sf.starwars. In May of 1995, the collecting aspect of the hobby split off to form rec.arts.sf.starwars.collecting (RASSC). This would prove to be one of the most important events the hobby ever had, as for the first time, collectors had their own community, and didn't have to share it with other non-collector fans. Now, this might sound like a given to modern collectors, but at the time, it was a big deal and resulted in heated discussion. Collecting was seen as merely an offshoot of fandom, and the thought at the time was that there couldn’t possibly be enough conversation to necessitate a separate group. In May 1997, the group split again to form rec.arts.sf.starwars.collecting.vintage (RASSCV). Here's the first post I can find there. This was another very important (and hotly contested) issue. Vintage and modern discussion would be separated for the first time, and collectors found themselves in two camps. Now you were a "Vintage SW Collector" or a “Modern SW Collector,” rather than simply being a "SW Collector." RASSCV is fondly remembered as a haven for obscure collecting jokes and lots of great people. My own personal opinion is that the discussion aspect of the group was hurt by eBay. Collectors looking for an actual discussion had to sift through endless auction spam threads, on account of usenet's lack of moderation. Some of these threads proved rather interesting in the end, but the vast majority were pointless. Additionally, it meant that unpopular or unpleasant people could stick around the group and couldn’t easily be prohibited from posting. In part due to these issues, people began to abandon all of usenet. It had no moderation, and was notoriously difficult for some people to use. People new to the hobby were mystified by what they saw as an outdated means of online communication, and instead preferred to frequent online forums. 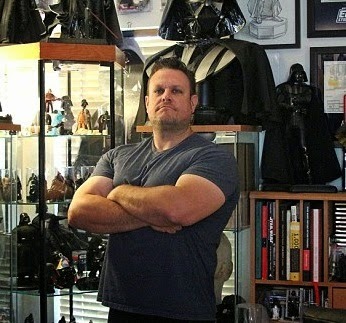 Many collectors found their way to the now defunct SWCA Collector Connection, which opened in 2000 here on the SWCA. 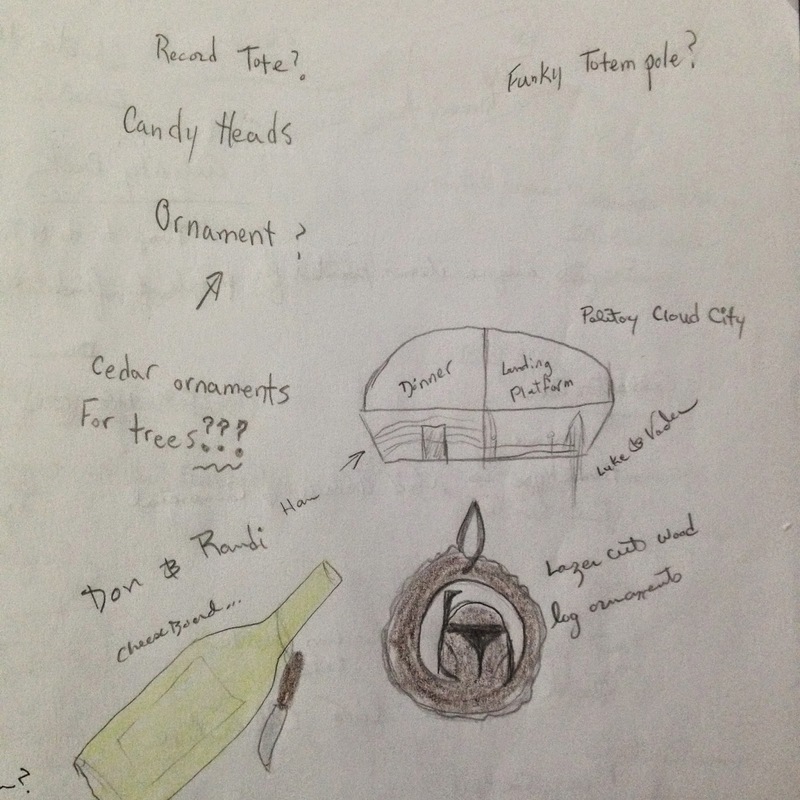 Of which, the only parts which still remain are the the main page, and the list of thread topics. A lot of the most active members of our current vintage collecting community got their start here. It is remembered for several legendary threads and the fact that it had a TON of pop-ups by the end. The Bounty Hunter Collective was also a popular choice for collectors looking for something easier to use than usenet, although it too is now long gone. Some of its threads can still be found here and here. 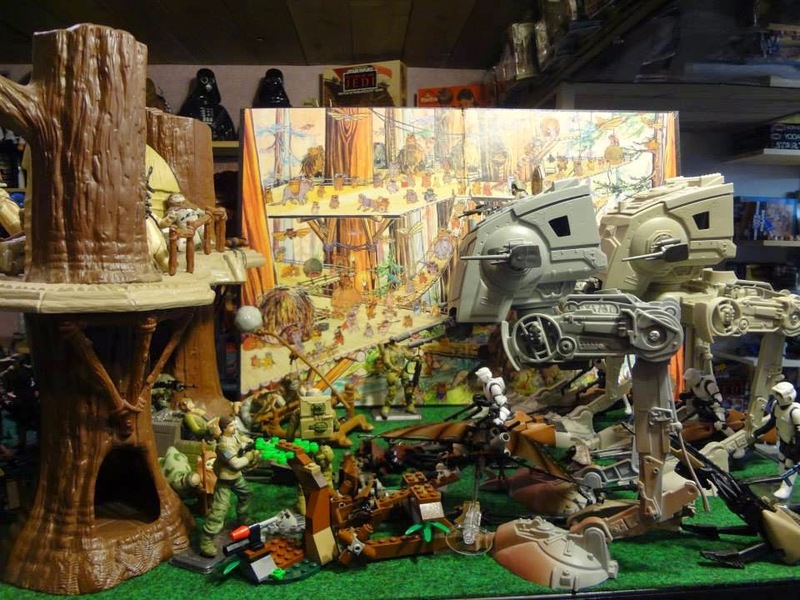 The RebelScum Rebel Lounge opened in 2001 with this thread and that proved to be another popular option for collectors looking for a home. Collectors could now choose between several different communities to post in. This was either very good, or very bad, depending on how you wanted to look at it. Discussion was fragmented, so unless you read every board, you missed something. On the other hand, since there were several different boards, there were several different chances to add new collectors to the community rather than having one monolithic forum for everyone. 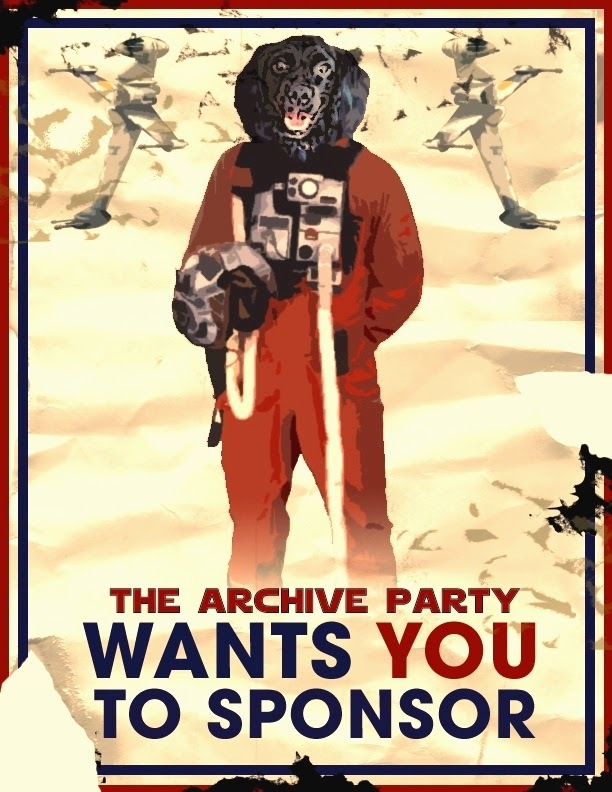 Eventually the less popular forums were weeded out, and the day soon came that the SWCA:CC closed down, and the BHC merged with the RebelSsum:Rebel Lounge in this thread: Collectstarwars.com & Rebelscum.com Merger! For all intents and purposes, RS was now the place for the majority of hobby discussion. 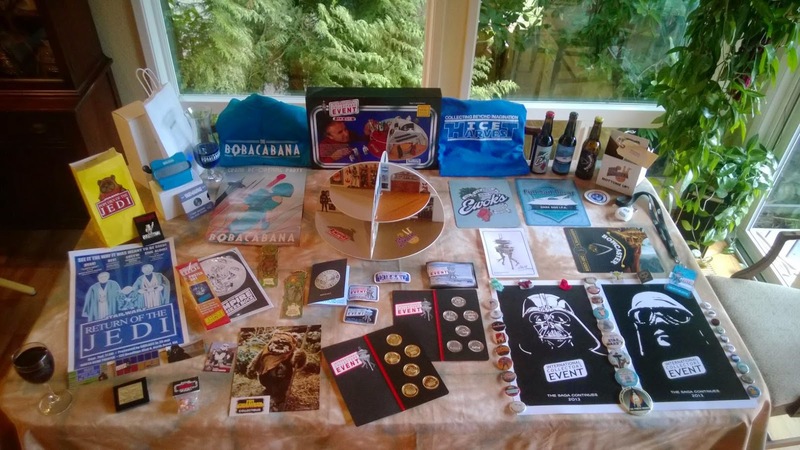 In 2005, SWFUK started as a place for UK and international collectors to gather and discuss the hobby. Up until this point, the hobby had been centered almost entirely in US based forums which served a mostly North America based collector. SWF was one of the first forums to see the worldwide nature of the hobby and the demand for a place for international discussion. It also allowed its members much greater leeway in regards to language than the other forums at the time, and it grew in prominence thanks to surreptitious advertisements in eBay auctions. In 2009, The Imperial Gunnery International Vintage Star Wars Collectors Forum opened and was soon providing another alternative to Rebelscum. While neither of these forums are as large as Rebelscum, many collectors enjoy their casual circle of friends atmosphere and less stringent moderation. 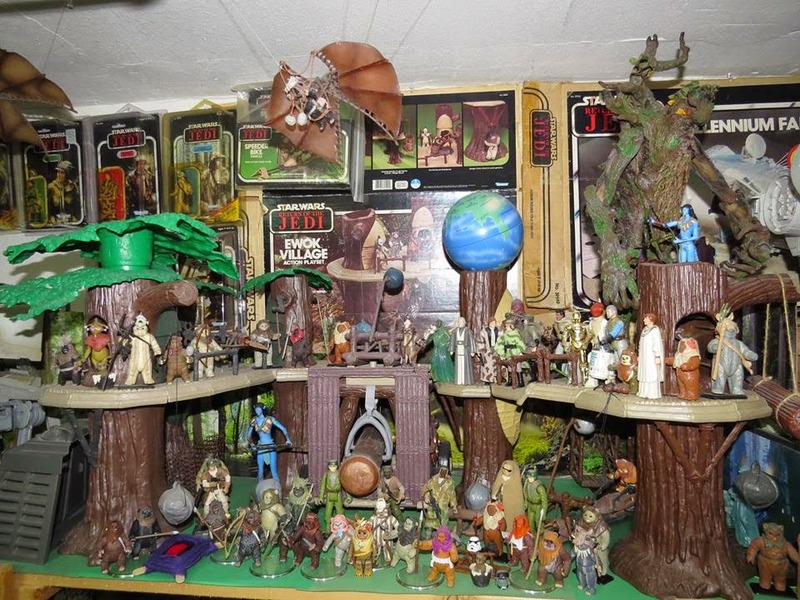 Vintage Star Wars Toy Collectors (5,000+ members), (closed group, requires approval). 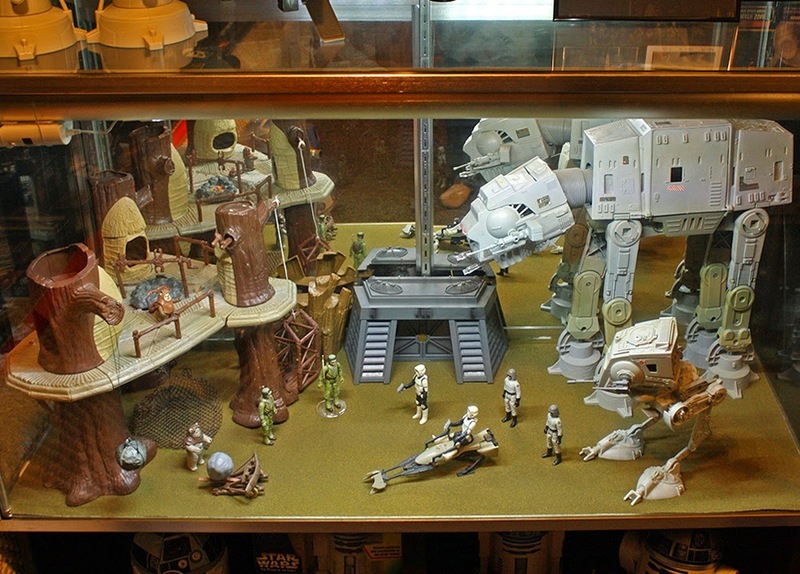 Vintage Star Wars Action Figures (Open group)(12,000+ members). 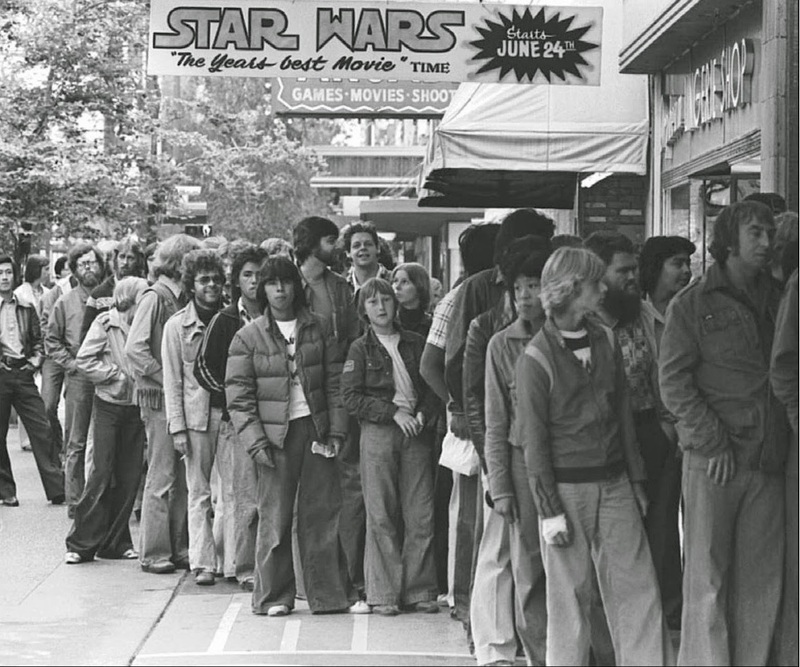 Star Wars Pre Production 2D & 3D 1977-Current(Closed group)(300+ members). Star Wars Droids and Ewoks Animated Series (800+ members)(closed). 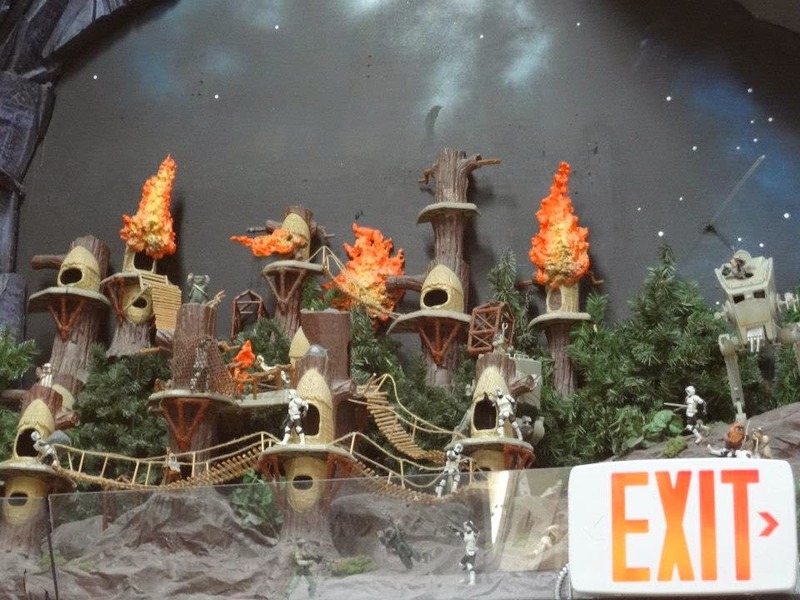 Star Wars Displays and Advertising (300+ members)(Closed group). 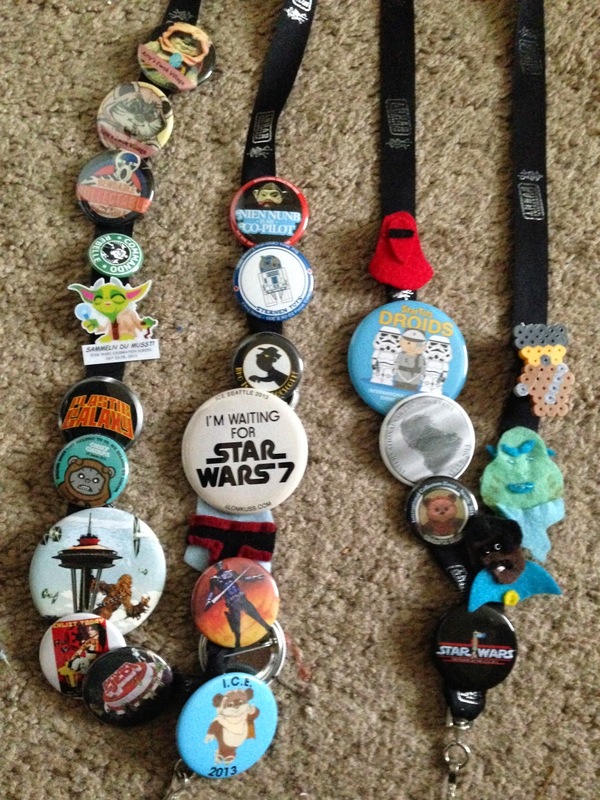 Power Of The Force Coins (250+ members)(Closed group). 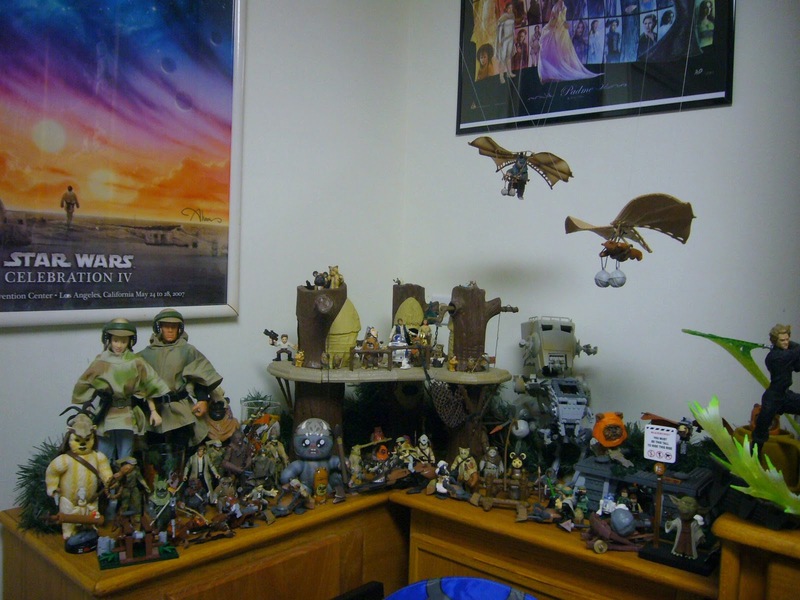 Star Wars Micro Machines and Micro Collection Collectors Forum (50+ members)(open group). Star Wars 12 Backs, 20/21 Backs, and Early Vintage Collectors Group (2,700+ members)(closed group). Since this is an entirely new avenue for collector discussion, it might be helpful to take a moment and review the problems and benefits of the Facebook Group system. Since all discussion on Facebook will be in a Facebook Group dedicated to one topic, this can segment the community just like usenet did. There are any number of groups and no one can actively participate in all of them. Thus, the Group system creates several dozen small communities with no overlap unless you belong to all of them. This also means that if someone gets something new, chances are you’ll see it several different times because they’ll post it to several different groups, which can get repetitive. The Facebook Group system segments the discussion based on what you’re interested in. In other words, if you are interested in coins, the odds of you seeing something in the group about 12” figures is virtually nil. This keeps discussion on topic, but it makes it difficult to discover new areas of collecting you might be interested in. A significant percentage of members don’t know how to search for the material they’re looking for in past discussions, which means that the same questions will be asked a lot. The discussion is not threaded, so if there are two posts about the same issue, they will not be connected in anyway unless one is a reply to the other. The groups can be exclusive, in some cases. You need to be invited to join some of the groups, and most require approval before you can begin posting. They are moderated by an administrator to different degrees, which means that someone else will decide what is and isn’t included in the record. Some groups will allow the craziest things you can imagine and others are so heavily moderated that it stifles conversation. Conversation is mostly based around pictures, which means that it depends on people limelighting their items, rather than collectors truly discussing the ins and outs of the hobby in the abstract. While it’s possible (and easy) to create a text-based post, most members don’t. Some of the groups have so many members that most of them will be strangers. It’s difficult to know everyone and many of the people have a less than cordial posting style. It is a system that is utterly dependent on Facebook as far as access to older threads go. Facebook could unilaterally decide to purge the conversation history, and all of that information would be lost since it’s not backed up anywhere and is incapable of being preserved by its users. The groups tend to involve a lot of short posts and replies. Very seldom do you see posts of more than a paragraph in length. In fact, almost everything in a group is said in about three sentences or so. This means that if you’re looking for in-depth discussion on an issue, it isn’t the best place to go. The groups are easy to navigate if you’re familiar with Facebook. The groups are very easy for new collectors to find, especially if they’re younger and used to using Facebook. Since there are so many members and so many people use Facebook throughout the day, you can get answers to your questions very quickly. You get a notice every time someone replies to your post. They allow for a great amount of specialization in regards to discussion. If you’re interested in some obscure, random bit of collecting, you can create a group for it and find dozens of other collectors out there who are interested in the same thing. You can set up exactly the community you want, rather than simply routing out the people you don’t want. The Group system allows you to send out invites to specific people and then close membership, meaning that if you only want certain people to join, you can do that. Personally, I view this as a problem, but many view it as an advantage. The groups tend to be large and very active. The members who use the groups are typically from all levels of collecting, from someone just starting out to someone who’s been collecting for decades. This typically makes for a diverse and talkative member base. Ultimately, it’s up to the individual collector to decide how and where to send his/her time. There are currently any number of different options available, more so than at any other time in the hobby’s history, and that’s not likely to change anytime soon. Personally, I would suggest utilizing both online forums and Facebook groups, since both have their advantages and disadvantages. Hey, where are the freakin' toys? I sometimes hear comments to the effect that Kenner dropped the ball on the Star Wars license by not releasing any action figure toys in 1977. I suspect the folks making those comments don't realize just how tight the timeline was. 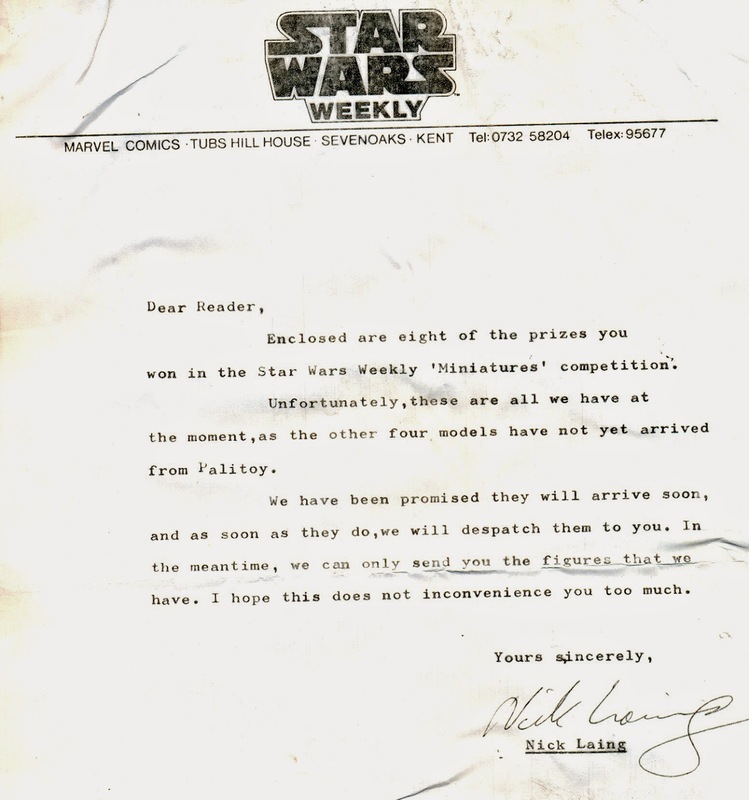 According to reports, Kenner wasn't even pitched the license until January of 1977, and they didn't seriously negotiate with Lucasfilm and Fox until February. The deal they made to market toys wasn't inked until April. That's right, April -- the month before the movie premiered. That's the sort of timeline that virtually guarantees no products being on the shelves at the time of release. In their licensing agreement Kenner allegedly promised to produce only one Star Wars item in the year of the film's debut: a board game. Presumably, had the film failed to find success, that's about all that would have been produced, as, like most companies, Kenner wasn't in the business of losing money. Remember: No one knew Star Wars would turn out to be Star Wars. Most thought it would be a minor success at best. All of this information is in Steve Sansweet's From Concept to Screen to Collectible, an essential collecting book that has been widely available since the early '90s. Steve reports that the designers at Kenner were hot to work on the film right from the start. And given all the cool stuff that's in the movie, I believe it. But designer enthusiasm doesn't necessarily translate into sales, and I think it's pretty likely the powers that be at Kenner would have had those designers drop their plans in a hurry had the movie been a bomb. Obviously, that didn't happen. Star Wars was about the biggest hit of all time, and its success sent the folks at Kenner into overdrive. 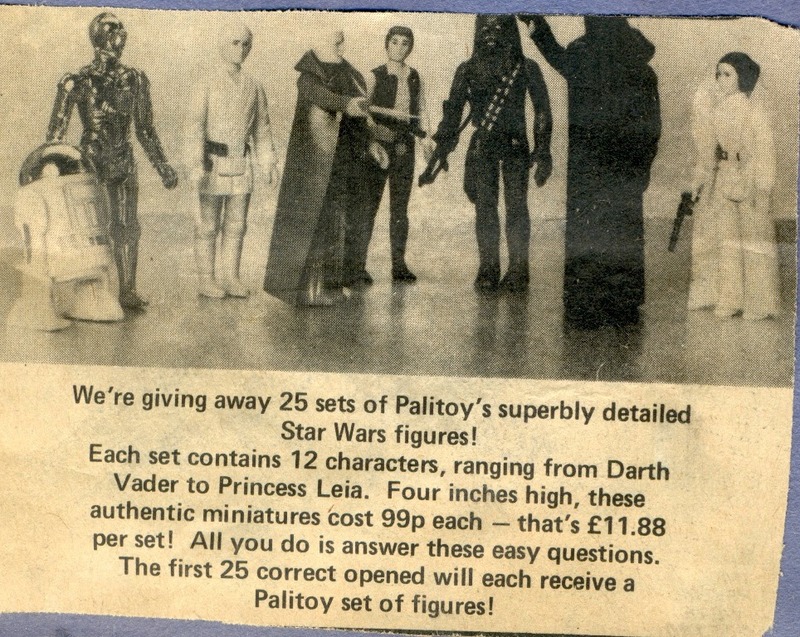 Ultimately, the company managed to get 12 figures, three vehicles, a large playset, and a host of other products to market by the middle of '78. A bang-up job, all things considered. Here's an interesting question to ask yourself: What would have happened had Lucasfilm and Fox failed to work out a deal with a toy licensee prior to the movie's release? I think you can be certain things would have gone much differently. Once the enormous popularity of the movie became apparent, toy companies would have come running to Lucasfilm and Fox in hopes of working out a deal. Lucas and Fox would have been in the catbird's seat: They would have gotten more money for the toy rights, better terms, etc. Also, it's possible that a bigger, more prestigious company than Kenner would have acquired the license. 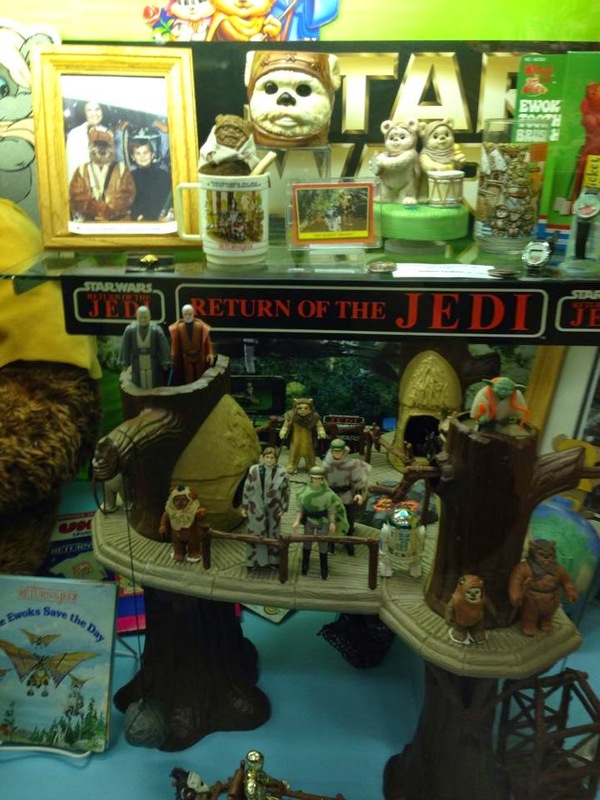 In other words, the history of Star Wars toy merchandising would be very different. Meaning, of course, that the history of merchandising boys toys would potentially be very different. But no one could have predicted that. At the time the deal with Kenner was inked, it's a fair bet the folks associated with Star Wars were relieved to have guaranteed extra marketing opportunities and some additional bucks. They were looking for partners, and Kenner was the only interested party. If you're interested in thinking further about such issues, and possibly even discussing them with a primary source, you might consider sending a friend request to Charles Lippincott on Facebook. 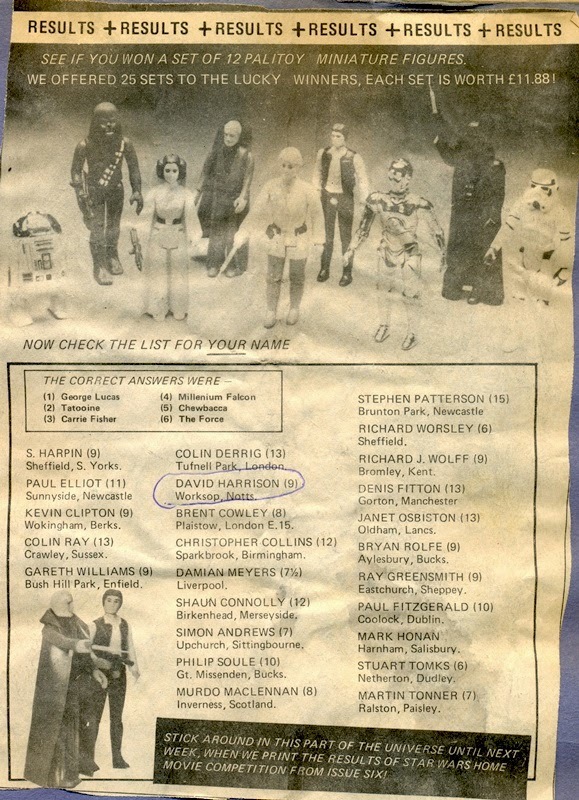 Lippincott was intimately involved in the licensing and advertising of Star Wars, and he's been posting some fascinating background information on his Facebook page. Touching on this very issue, Lippincott refers to Lucas' alleged displeasure with the terms of Kenner's toy license as "Monday morning quarterbacking." George and other LFL people thought we should have gotten more money or waited until after the film had opened to make the toy deals but the reality was no one expected Star Wars' colossal success. George himself thought the film was not going to make it at the box office, so how could we have gotten more money for the toy license prior to the release of the film? The Early Bird Certificate package was first showcased to retailers in Kenner's Star Wars-only catalog in the fall of 1977. The catalog was Kenner's way of trumpeting their early plans for the Star Wars license. 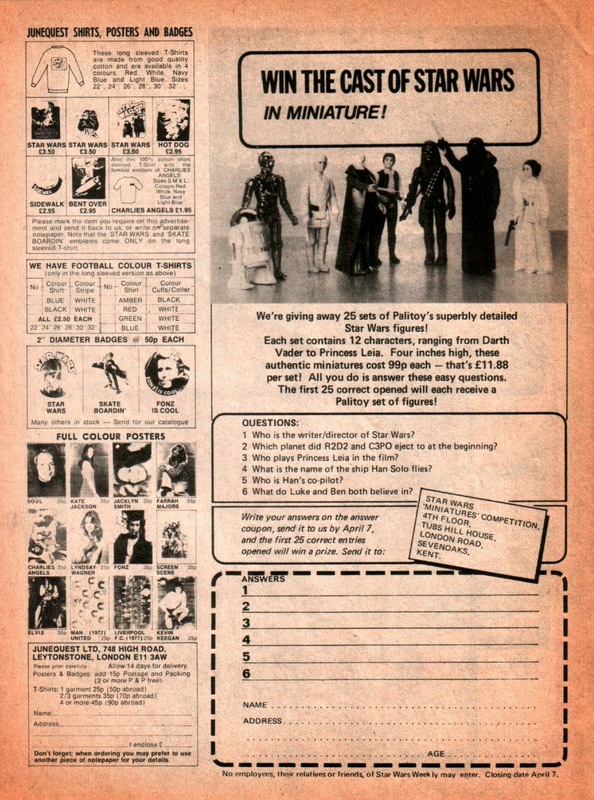 When mailing the catalog to retailers, Kenner's sales force packaged it with an introductory letter and an order form. 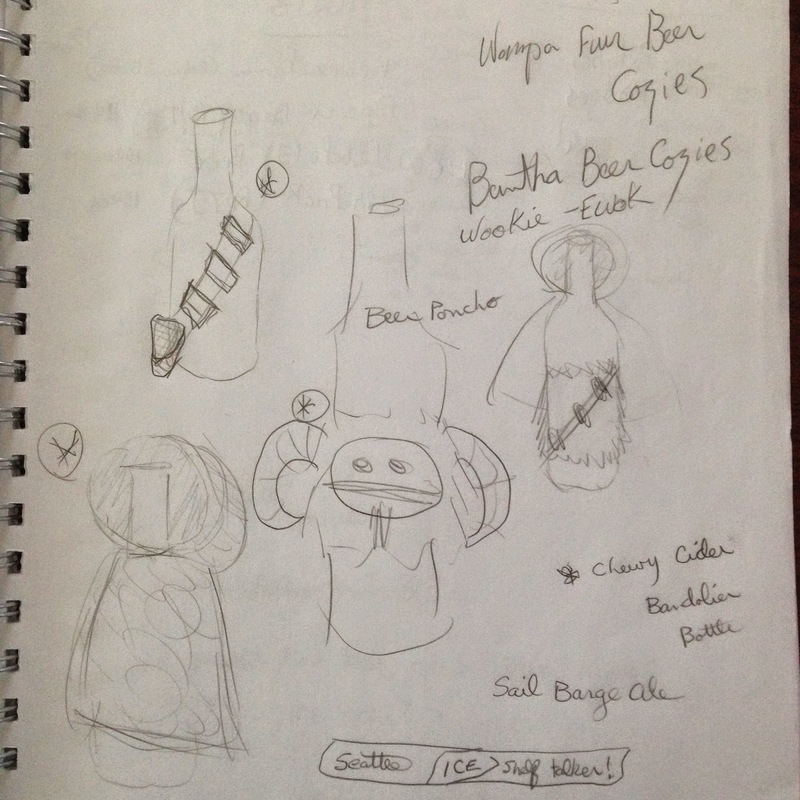 These are some of the first pieces of sales paperwork associated with the Star Wars line. 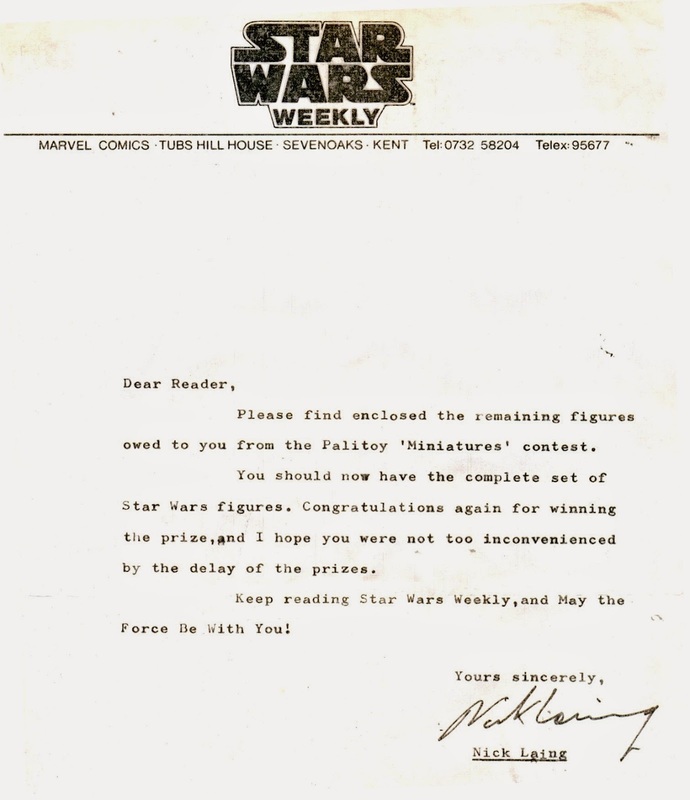 Note how the letter emphasizes the fact that all Star Wars toys and games are exclusive to Kenner. Hey, when you have the hottest toy property in history, you might as well let people know it's yours. Here's the order form, which pimps the EB Certificate as well as the blue- and purple-boxed puzzles, Dip Dots, Playnts, and the Escape from Death Star Board Game. Interestingly, Playnts isn't referred to by its product name. Neither is the EB Certificate: It's called simply "Star Wars Certificate." This ad from October 1977 shows how retailers around the country advertised the EB Certificate. Gotta love how the paper is The Cincinnati Enquirer. You can read about Shillito's department store here and here. Toys were on the second floor. Finally, here's a cartridge used to screen the EB television commercial to retail buyers. It was used in Kenner's New York showroom. The label uses the same bland "gift certificate" terminology. Prior to this cartridge surfacing, it was a matter of some debate whether an EB television commercial had actually aired. Some collectors remembered it, others didn't. Here's a version of the commercial on YouTube. It was probably ripped from a version mastered using this cartridge. When Archive editor Stephane Faucourt visited me last winter, he came toting a copy of his latest book, "La French Touch: History of Star Wars Merchandising, 1977-1986." The title pretty much says it all: It covers every bit of "Star Wars" merchandising to appear in France during the vintage era. Not just action figures or toys . . . everything. (That said, you action figure collectors needn't worry: There's a ton of toy information contained in the tome.) It'll surely remain the definitive book on licensed French "Star Wars" product for some years to come, if not forever. I could go into detail regarding the book's contents, but Stephane's website does exactly that, and it provides page samples that give a sense of how attractive the layout is. I'm a big fan of books focused on collecting, especially ones that convey a lot of first-hand research and experience. 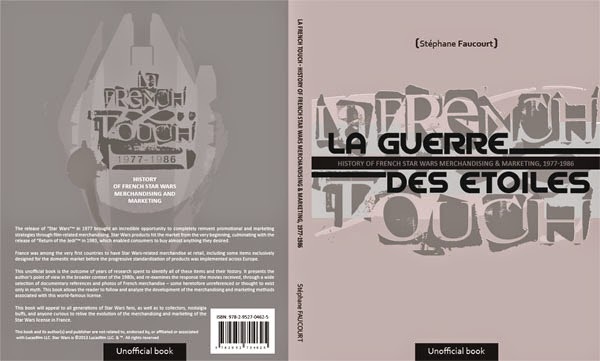 If you're of a similar mind, I heartily recommend you pick up "La French Touch" before Stephane sells out. Here's an interview with Stephane about the book.